A new production line of crosslinking agent BIPB (covers 667m2,with output of 3500 metric tonne per year)in Hunan Yixiang Chemical start construction at Feb. 9th, 2011.This project is plotted in two stage for development. First stage construction investment is about 40 million. Predicted output of 2000 metric tonnes, the first stage construction will be finished in August 2011.This new production line adopts new processing technique and DCS auto- industrial control system.Therefore the producing process will be much more safe and Envirmontal.The quality will be much better and more stable. By August 2011, the output of BIPB will be 2700mt. 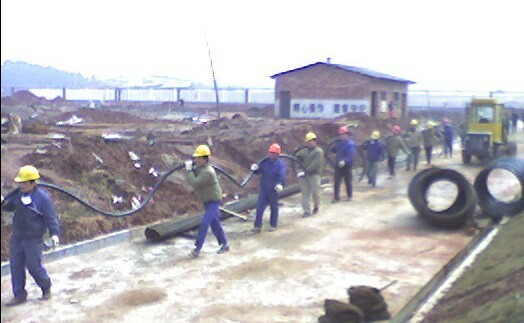 The second stage construction investment is about 40 million and start at the beginning of 2012. When the production line completes, Hunan Yixiang will be the third largest manufacturer of crosslinking agent BIPB globally after Akzol Nobel and Akerma, with the output of 4200mt per year. On construction field of 3500 metric tonnes crosslinking agent BIPB product line at first stage of construction.